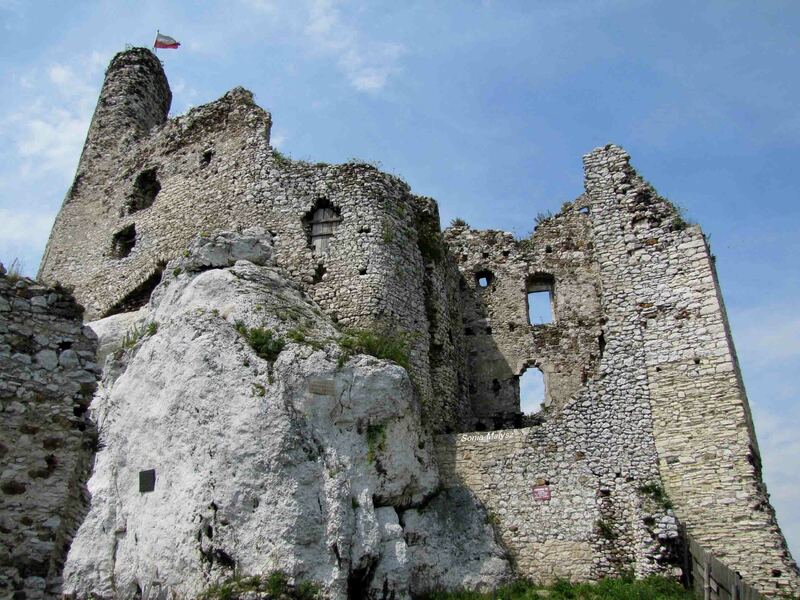 I would like to take you on a trip to two castles in the Polish Jurassic Upland, the region that stretches between three cities: Krakow, Czestochowa, and Wielun. In the Middle Ages kings and princes build castles and fortifications that stood guard on the border of the country back then. 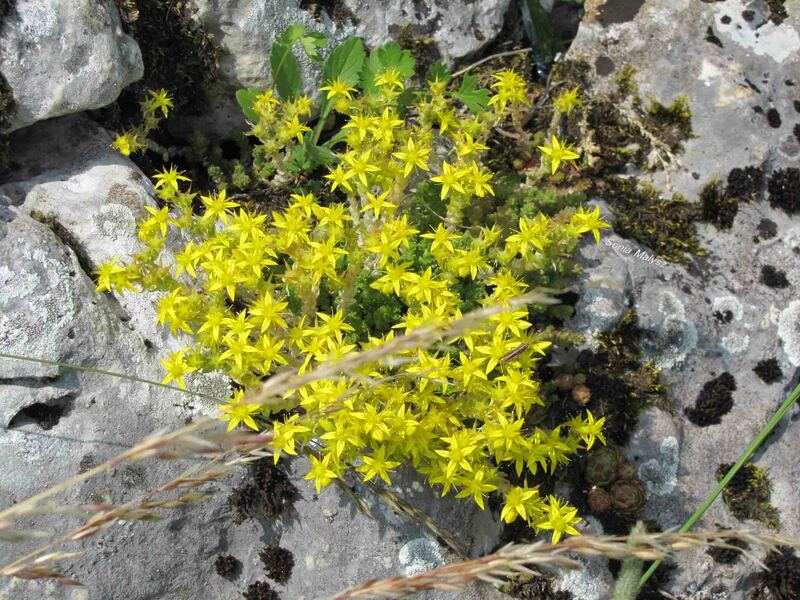 Built on tops of rocky hills, the castles were almost impossible to conquer. Their location served also as a lookout for potential attackers. Because of their position on the hills, they were known as the Trail of Eagle’s Nests. 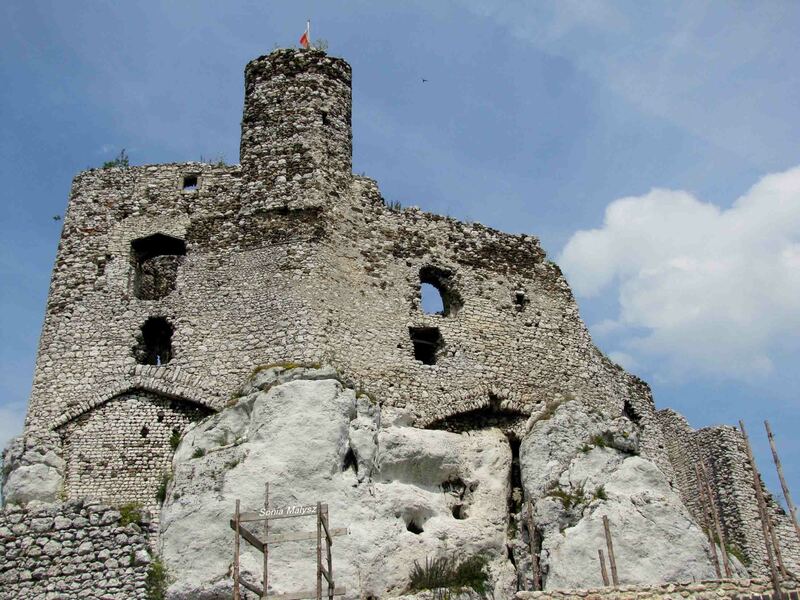 Today some of the castles, like Mirow, lay in ruins. But the remains are not only beautiful; they bring back the memory of the past generations and their glory. They speak of architectural achievements, as some of the castles seem to incorporate into their bodies the very rock on which they stand. They show the ingenuity of their builders who used what was available, the white stone, and erected buildings that survived through generations. 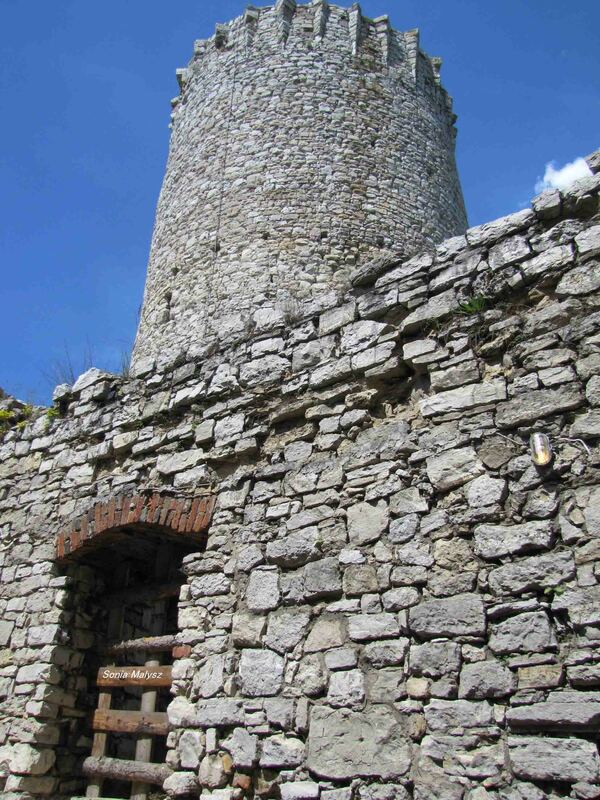 The tower was always a necessary part of the castle. In some places it served as a dungeon, in other as a toilet. The worst possibility was when it served as both… But in any case, it was a convenient lookout place from where guards watched over the land. There are some castles that have been rebuild and renovated. 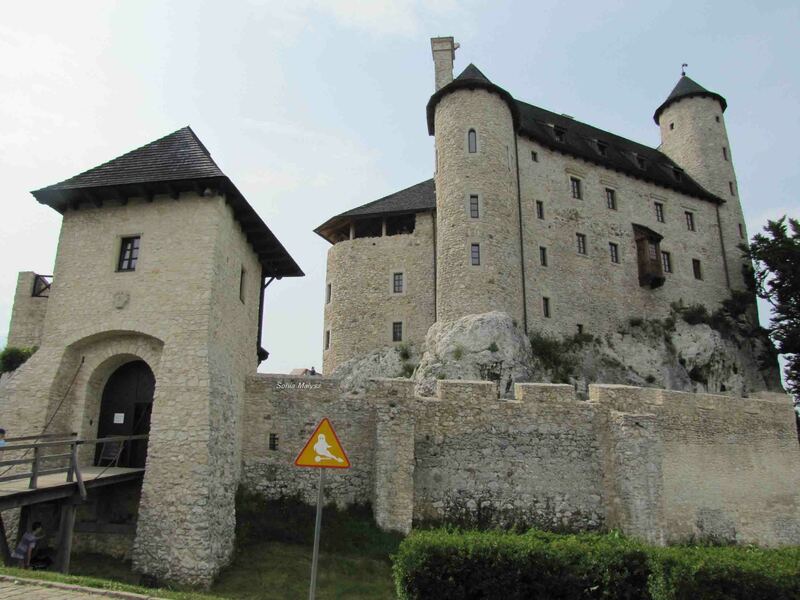 Castle Bobolice in one of them and today it is beautifully renovated as a museum and open to the public.